it is to grow in the open air and to eat and sleep with the earth. Let food be your medicine and medicine be your food. Integrating my depth of knowledge in conventional medical practice along with consideration of nutritional, environmental and lifestyle factors, I hope to develop a partnership with my clients to optimise their wellbeing, restore balance and allow regeneration. I am passionate about individualised healthcare and use a functional medicine approach in my consultations. We will work in partnership to get to the root cause of many chronic conditions and use this knowledge to help improve, resolve and revitalize you. I will use my knowledge base in conventional practice and can organise testing and use medications if appropriate. I am also happy to work alongside your regular GP. By spreading the word through community events and utilising cooking for health collaborations (news on both of these coming soon), I hope that this approach will become integrated within conventional healthcare. I offer private GP consultations to Osteopath Clinic clients to support their ongoing care, so these can be booked directly with the Woodside Clinic. 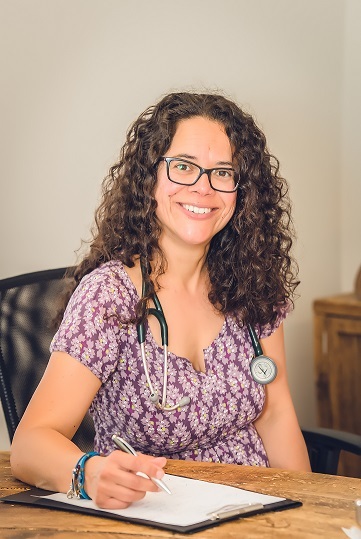 I am passionate about individualised healthcare and use a functional medicine approach in my consultations.